Now that you have gotten the Translation of the Voiceover script– the most important step of the Multilingual Voiceover process – what’s next? You must have many burning questions. Fear not. We will share our experience in the Voiceover process with you here. Let us now take you through these processes. The preparation phase for the Voiceover session is the most important aspect. 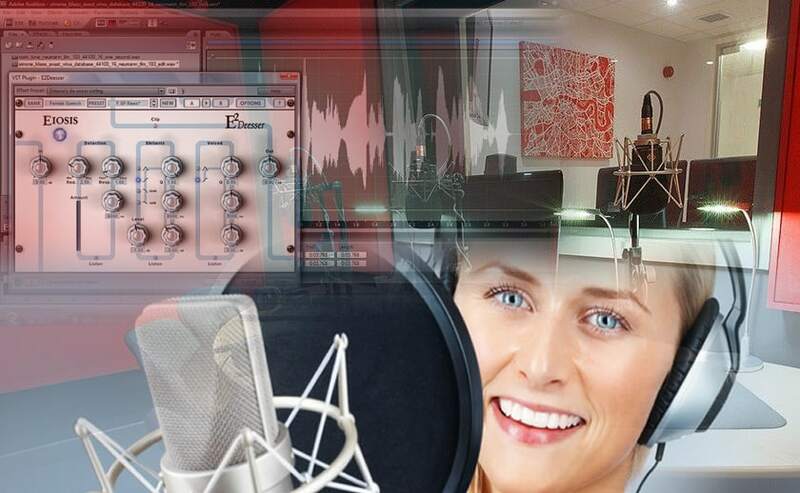 Based on the nature of the script provided and its purpose, a suitable Voiceover talent will be selected for the Voiceover recording. If you have specific requirement or preferences, for example, you may prefer a mature, authoritative male voice for your corporate video, we can also accommodate with such requirements. Although it is not a must, we will encourage our clients to sit in during the Voiceover session so that we can iron out any issues on the spot. Before the recording session, the clients will vet through the script once more, and clarify if there are any changes required. This helps to prevent any additional time and cost for the client to arrange for a re-recording session should the end results fall below expectations. Just before the session, the Voiceover talent will go through the script and clarify any doubts he/she may have. The talent will have to be familiar with the expectation of the tone set by the client in the script. He/she will be in the recording room – conducive with air conditioning, sat with the mike stand adjusted to his/her reachable height. Compared to music studios, the voiceover recording booth is more soundproof and acoustically ‘dead’. This means that there will be no reverb or ‘flutter’ during the recording process. During the recording process, it is important to eliminate any possible interference. The air-con will be switched off before the commencement of the Voiceover recording. The door of the studio will be shut tight and locked as well. With a soundproof window separating the voiceover talent and the sound engineer, the recording will commence. After the recording process, the client will listen to the playback of the recording and provide their feedback. It is important to polish the voiceover recording so that certain contextual aspects which are lost during editorial will be tied together. Other issues such as unclear pronunciation, choppy parts for certain words, pauses, hisses and other noises will also be picked out and rectified. It is rare that a perfect recording is achieved at the first take. Editing in the Voiceover process is done to a conversational timing which takes years to master. After editing, the Voiceover talent will only be required to re-take the parts which need to be rectified. This entire process of the Voiceover will be repeated until the whole recording is error free and has right tonality that meets the client’s expectations. In conclusion, it is important for our client to understand the Voiceover process from start to finish. Working with people who are experienced with the process is even more vital. Knowing what you want and working with professionals who understand your expectations will not just produce high quality result in the end but it will also save you a lot of time and money, not to mention less anxiety for you. In Lingua Technologies International, we are always ready with a team of experienced professionals to take on any Voiceover projects, be it large or small!